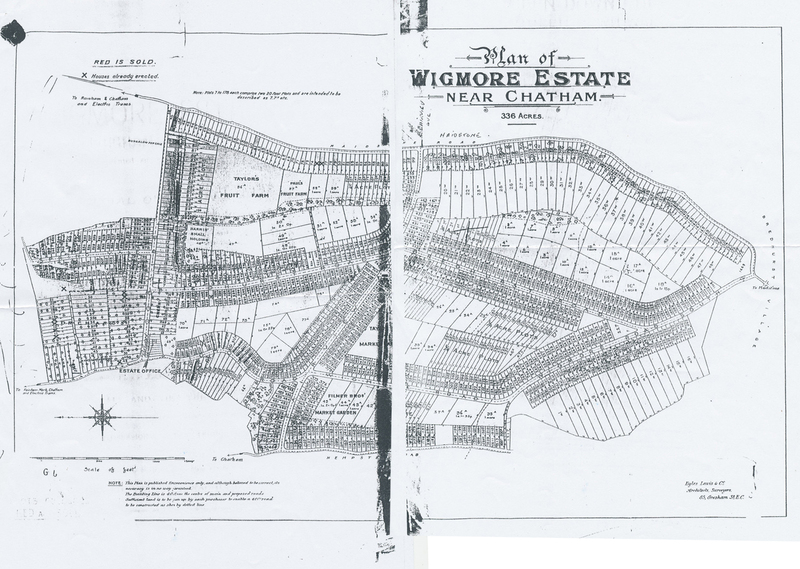 The Wigmore estate was created in the early 1900s by selling off plots of land to people to build their own houses. It explains why the houses in the area are mostly different to each other. Maidstone Road runs across the top of the picture and Woodside top to bottom at the left. The photos are dated on the back by our mother. I am John Clements, and my (4yrs older) sister is Diana Clements. Until April 1958 we lived at 23 Maidstone Road (first house past Thames Avenue) and walked to school together. Di is the girl in the centre of the photo playing the recorder, and sixth from the left, back row, wearing the striped cardy in the class photo. I am sat on the floor, front right in 1956, and fourth from left, front row, in 1957. I have no idea who anybody else is in these photos. I do recall some Hungarian refugees living in the old prefabs on Maidstone Road, and being friends with a boy from there, who may be in the photo. I have a lot of old family photos, most of which are unmarked so are of people and places that I cannot identify. If I find any more Rainham-related ones I'll send them over. My parents, Ivy and John lived there between 1938-58, and mum was an active Townswomans Guild member. She returned to live in Parkfield Road in 1972, where she lived until her death in 1989. Nowadays, we pretty much take the existence of the big, established nightclubs like Ministry Of Sound and Fabric and Gatecrasher for granted, but if anything, they have become something akin to cultural dinosaurs; large and unwieldy, their hay day seemingly behind them and, as people’s habits change, an uncertain future ahead. Yet, there was a time, only a few decades ago, with vibrant underground indie and dance music scenes in ascension, that conditions were right for the ‘super club’, as we came to know it, to emerge. There were, of course, the trailblazers, opening up through the ‘80s on the back of the acid house wave, and who’s names have gone down in history: London’s Turnmills, Newcastle’s Tuxedo Royale and, most notorious of all, Manchester’s Haçienda. However, a page seems to have slipped from the history books, because, search as you might, nothing seems to exist that mentions what was happening down here in Kent, in an old former NAAFI club, situated in the no-mans-land between Gillingham and Brompton. I would say it’s arguable that, years before Cream Nation was so much as a glint in the milkman’s eye, Excalibur was the place where the Super Club was born. It was in our home town, so why wouldn’t we have taken it for granted? I mean, huge, 2000+ capacity venues, where you could wander along and catch The Prodigy playing live on a Monday night existed everywhere, right? I guess, as the saying goes, we didn’t know we had it so good. 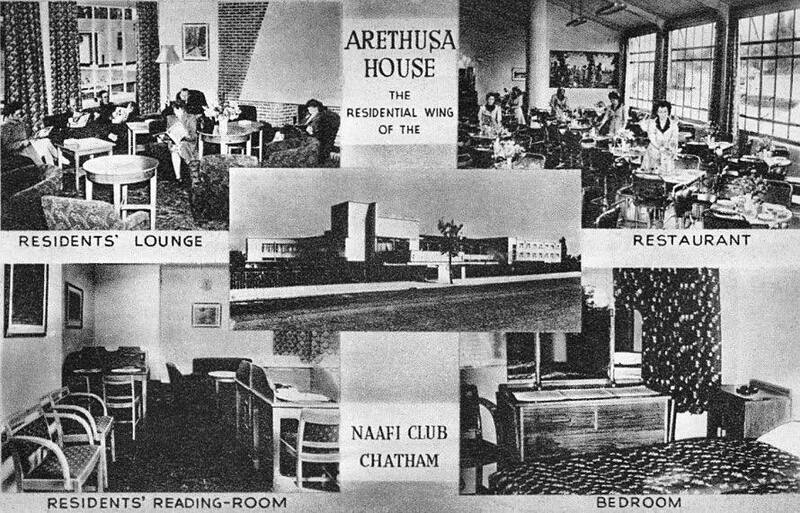 Originally built in 1948 as a NAAFI (navy army airforce institute) club, the building complex was eventually purchased by Canadians and became The Aurora Hotel. The Aurora’s substantial ballroom, that would come to be known as The Regency, had quite an illustrious career throughout the ‘60s and ‘70s, notably seeing an early performance by David Bowie and playing host to the renowned weekly ‘Village Of The Damned’ Blues Club. By the end of the ‘80s, though, a change in ownership brought about big Changes for The Aurora. Now in the hands of the Degiorgio family, the hotel was reborn under its present name, The King Charles, and the Regency Ballroom was refurbished and opened as a fully-fledged nightclub. Decked out with black ceilings, mirror walls and copious amounts of chrome, the club's piece de resistance was its stage and dance floor. The stage was broken up into terraces of different levels, surround by stainless steel railings, topped by a curved wall of floor-to-ceiling colour TVs. To the right, was the DJ booth, clad in panels taken from old pinball machines. All this looked down onto dance floor, at the centre of which was an area about the size of a tennis court, that could be hydraulically elevated to reveal lights and a water feature underneath. By 1990, the names Aurora and Regency were gone and the days of The Excalibur had begun. In a stroke of ‘Hook ‘em while they’re young’ genius, Excalibur ran an under 18s night, which took place every Monday. It was here that many of us embarked on a journey as clubheads. Limited to buying coca-cola and ice poles, we longed for the day we could get hold of a fake ID that might enable us to get in on a weekend, for the real deal, when we’d be able to get smashed on the Hooch and K Cider that we could see tantilisingly stocked in the fridgrs behind the bar, but not get our hands on. Over the next few years, the club grew in both notoriety and size; slowly consuming more and more of the hotel. By 1995, there were several club rooms open under the name ‘The King Of Clubs’, catering for the broad clientele that the venue was attracting. The main room was still The Excalibur, with resident DJs Marky Mark, Darren J and Stevie D, playing pretty much everything you’d expect to hear in a club of the time; house, garage, R’n’B and a hefty dose of Jungle. The Sovereign, where DJ 'Ragga' Mikey played, reggae, dancehall, hip hop, swing and R’n’B. Upstairs, there was Ceasers, the 'party' room, witg DJ Ian Williams, who I swear played nothing but Come On Eileen on repeat. Lastly, there was The Palace, a large, smoke-filled cavern of a room, lit only by black lights and strobes, flashing in time to the thundering drum n bass rhythms of DJ Zinc’s Super Sharp Shooter, while faceless MCs spat lyrics ten-to-the-dozen. Aside from the Saturdays, on which every room was open to anyone who came through the door, there were a number of independently promoted club nights that took up residency through the week. Disco Inferno and Spreadin’ Fever, are two that deserve mention, but, most notably, for a good many years on a Friday, the venue was home to the South East’s largest alternative indie/rock club night outside of London, the legendary SubSonic... a safe haven for goths, metallers, parka-wearing Oasis fans and those who lived their lives according the lyrics to Pulp’s Mis-Shapes, or Suede’s Animal Nitrate. The Excalibur continued to reign supreme throughout most of the ‘90s. It’s nearest rival, The Ritzy, on Canterbury Street, had not the capacity to compete, and The Avenue, on the A2 near Twydall, was, in essence, little more than a pub with a dress code and delusions of grandeur. In those halcyon days, Atomics in Maidstone was possibly the only place that gave Excalibur a genuine run for its money, with regular events, Pure Science and Club Class, pulling in big-name DJs from the worlds of House and drum&bass, including the likes of DJ Hype, Shy FX and even Boy George. However, the King Of Clubs, had broader appeal, slightly rougher around the edges and playing to wider-ranging crowd, you could make a night there whatever you wanted it to be and with nothing resembling a dress code, it was hardly pretentious. Needless to say, all good things come to an end. In many ways, the initial demise was the result of the venue becoming victim of its own success - it’s notoriety over the south east soon brought the London gangs, which in turn brought trouble. Regular police appearances in response to violence soon began to taint public perception of the club and, by association, that of the attached hotel. By the time First Leisure opened their fancy purpose-built mega club, Amadeus, in Strood, people we’re keen to latch on to a fresh club experience - but one that wasn’t perhaps quite so visceral. The problem was, Amadeus was not unique - it wasn’t so much a club, but rather a soulless corporate template, which could be stamped around the country, in the middle of pre-identified catchment areas and lure punters with drinks prices that independently run clubs could just never hope to compete with. Sadly, people got wise to this too late. This was a blow too many. In 1998, after a brief time opening under the name 'Legends', with former Invicta Radio DJ, Ceaser the Boogieman at the helm, The King Of Clubs closed its doors and slipped quietly into Medway history. I'm sure, like me, there's a good few people around here who, years later, still feel the corner of their lip curl a smile as they pass the corner of Bromton and Prince Arthur Road, as they give a knowing nod to the memory of their drunken teenage self, stagering home, with sound of Strike's anthemic U Sure Do rining in their ears. 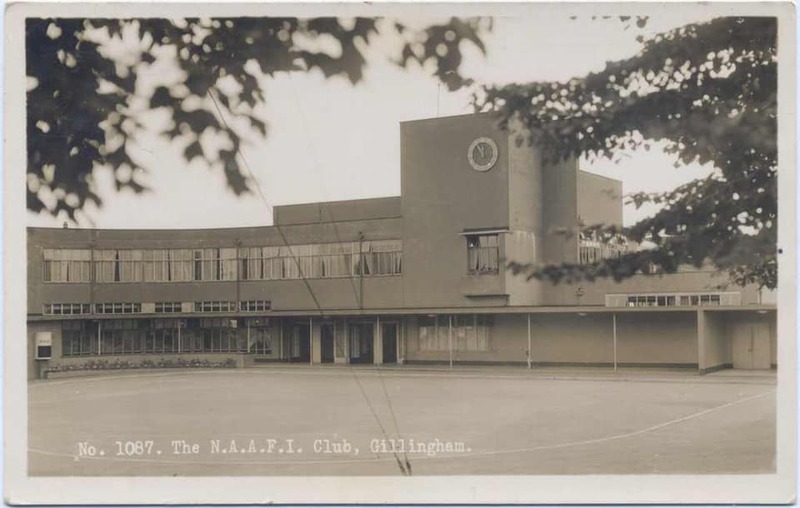 And so, it's with much nostalgic sadness that we learn that the old club building is to be demolished to make way for a new development, such is the way of the world I guess. But holding such a place in the hearts of so many of us, I felt that its story was worth a few lines and, finding that nobody else had apparently done it, I decided that i should just do it myself. If anyone has a story to tell, please share it, if you have any pictures, particularly of that levitating dance floor, we'd love to see them.. Let's put that page back in the history book. The year began with a serious flu epidemic that affected thousands of people in the Medway area causing high levels of absenteeism from work and school. Blizzard conditions and heavy snow followed causing train cancellations, massive traffic jams, power cuts and severed telephone lines. It wasn't all bad news as Rainham Theatrical Society had staged a successful production of the pantomime 'Robinson Crusoe' to packed audiences at the Oast House Theatre, while Rainham Social Club thrived with tag wrestling matches and regular live bands. Rainham Ladies Choir also did well and at the Llangollen International Musical Eisteddford in Wales they finished sixth out of 24 participating choirs. With expansion of the Parkwood Housing Estate and a rise in the local population, modern facilities were increasingly demanded. 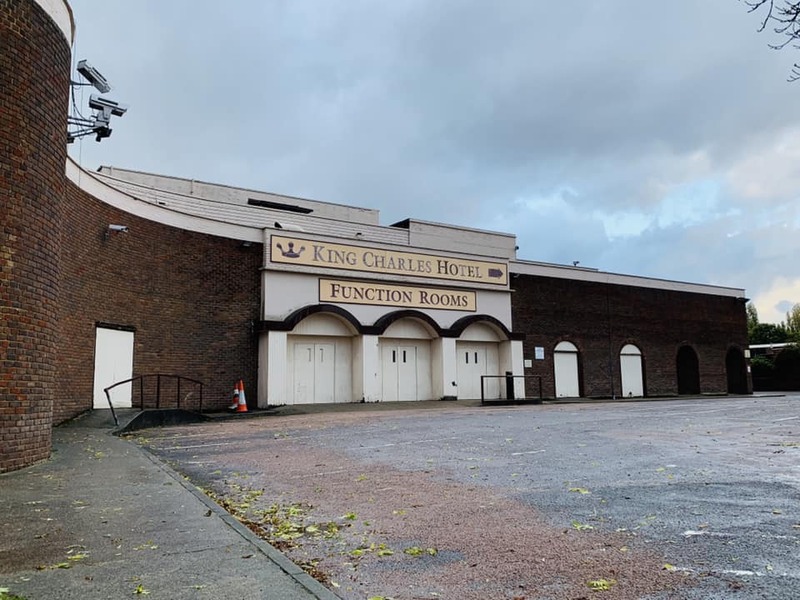 This led to the former Church of England School in Station Road being earmarked for demolition followed by the construction or Rainham Shopping Centre with a pedestrian precinct and car park as part of a redevelopment plan for central Rainham. Plans were also drawn up to redevelop Rainham Mark with more space for shopping. In June Gillingham Council bought the marsh near Motney Hill from the Rugby Portland Cement Company for development. A new school known as the Howard School was constructed at Derwent Way and the teachers and pupils rrom Rainham Secondary Modern School in Orchard Street were transferred there in September. 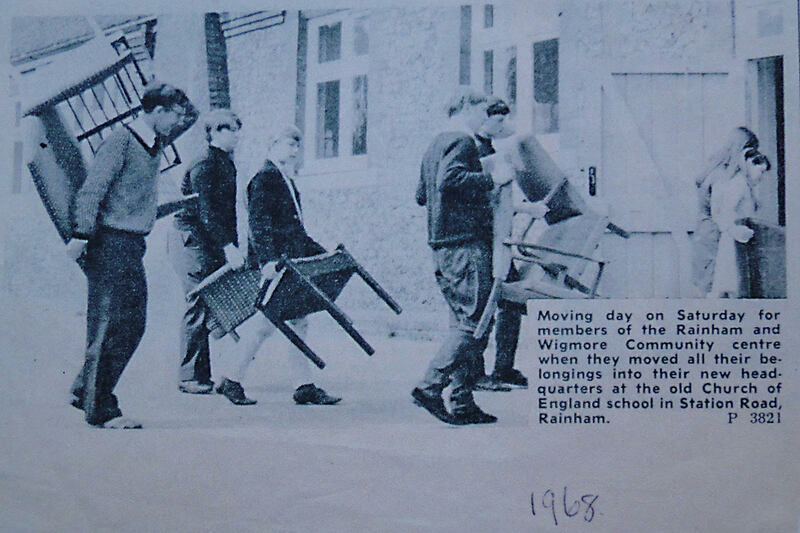 Pupils from the girl's school followed later after the construction of Rainham School for Girls on the same site. With the closure of the Church of England School in Station Road and the transfer of pupils to Orchard Street, the vacant building, which dated back to 1846, was bought by Gillingham Council and temporarily leased to the Rainham and Wigmore Community Association who organised social and recreational evenings at the premises. Local traders contributed 400 items of household furniture for use in the building. In sporting affairs Rainham Cricketers FC won the Medway Area Sunday League Premier Division Championship and reached the final of the Kent Sunday Premier Cup but were defeated 4-0 by Cat ford United in the final. Rainham Youth won the Medway Minor League Championship while Rainham Football Club First XI finished fifth in the New Brompton League. During the summer Rainham Cricket Club had an average season while girls from the Rainham Secondary School Athletic Club performed well. At the Faversham Gala Sports Meeting in June Jill Wesson won the 100 yards event and Carol Hooper won the Junior 100 yards. The junior relay team also finished first. Later, at the Bexley Sports Meeting Carol Hooper won three races while Jackie Mudge won the 220 yards event. In October Rainham held its first ever trade fair which took place at Rainham Social Club attended by an estimated 4,500 people. Opened by the Mayor of Gillingham it proved highly successful. Films were shown, advice given on painting and decorating with dancing, hairdressing and butchery demonstrations and a fashion show. 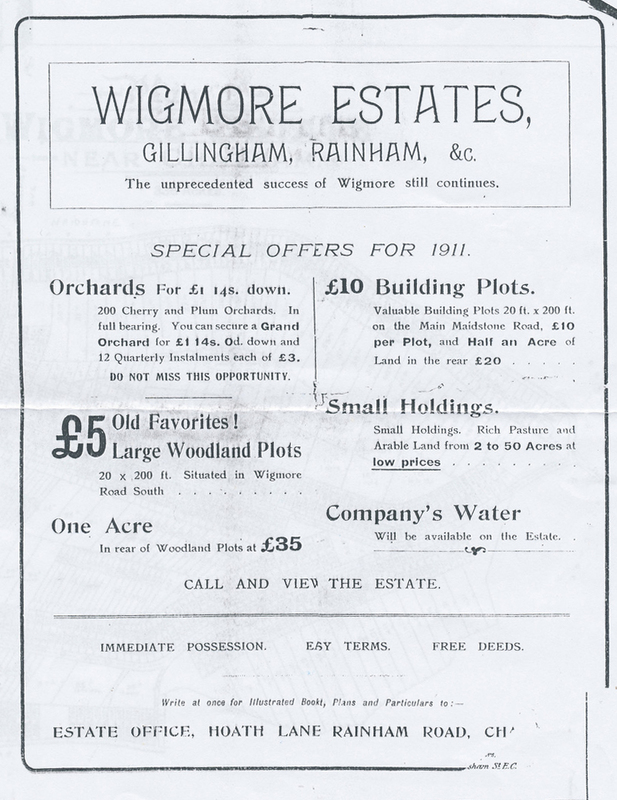 The year ended with news that farmers Wakeley Brothers were planning to attract young men into farming by providing them with modern four bedroom houses in Rainham. The old nineteenth century cottages which housed Wakeley Brothers workers lacked modern amenities with outside toilets and no bathrooms. 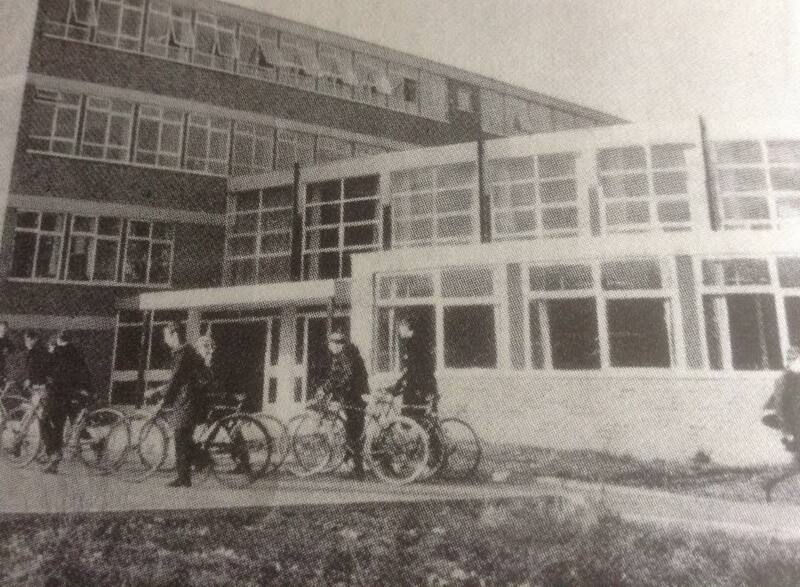 By December 1968 twelve new houses were constructed for the farm workers and six of these were situated in Otterham Quay Lane. This ended an important year in the history and development of Rainham.